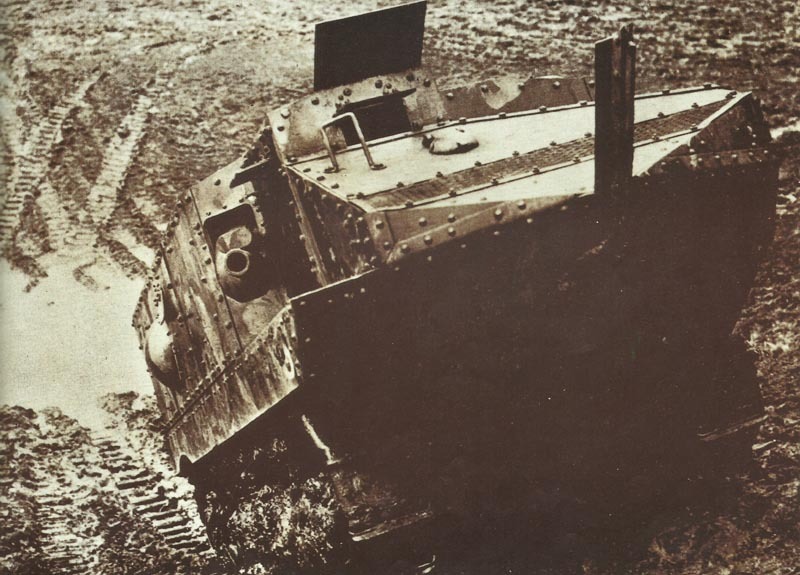 The Schneider tank mastered an extensive test program. French Army orders 400 Schneider tanks by November 25, 1916. Cham­pagne: French attack regains recently lost positions at Bonnet d’Eveque (345 PoWs). Russia: British military attaché Colonel Knox finds new Russian 110th Division west of Riga has only two regular officers. Persia: Baratov’s 4,400 men with 20 guns occupy Kerman­shah, forcing Colonel Bopp’s 2,000 Turks to Pai Tak Pass. USA: President Wilson writes to Senator Stone that he will not abrogate Americans’ rights in travelling by sea. Belgium: Germany’s terms of a naval base, strategic railway use and 60% control of Antwerp end peace feeler talks with Belgium in Zürich (Switzerland).